I’m Aspirety, and I’d like to welcome you to Kakera Complex! This page marks the first step of what will perhaps become a great and memorable otaku blog! I look forward to writing for you all. So, what exactly is Kakera Complex? Well as I stated earlier, it’s an otaku blog: a blog about Anime, Manga and all other related facets of Japanese geek culture. If you’re new to it all, then I welcome you to the amazing world of the otaku! But I’m supposing that most of my viewers will be otakus themselves, or at least have some kind of interest in Japanese geek culture. You are the people I’ve created Kakera Complex for, after all. This blog has been created to express my love for this unique subculture, and learn more about it and the various texts which make up this odd world we call otakuism. My aim is to search for the ‘heart’ in all of these texts, identifying and analysing it, and expressing my own thoughts and feelings of that heart. In analysing these texts, I will be expressing my opinions, good or bad, but I don’t aim dictate anyone’s experience. An otaku’s world is their own, and the heart is a matter of interpretation. I’m very much interested in meeting fellow otakus and engaging in friendly discussion, and I hope my posts on this blog inspire a reaction out of anyone who stumbles upon them. It would make me ecstatic to hear from you all, so don’t go lurking, join in the conversation! I’ll make you welcome. What can you expect to see? I hope to do many things including posts expressing my thoughts of various otaku texts, some ramblings on things I pick up while experiencing them, perhaps even episodic coverage of the new anime and manga! And just about anything else otaku-related I feel like chucking in, all with my own personal spin on things. Hopefully it’s worth reading, I aim to please! But I’m eager to hear your feedback, because in the end, I’m writing for the entertainment of you, the audience! So be sure to speak up. Lastly, a quick word about myself, the author of Kakera Complex, and how this blog came to be. I’m known around the internet as Aspirety, Aspie Sincerity or azsxdc, but my real name is Ben. I am [now 21]. I was born and currently reside in Australia and [attend] University to study Psychology. I was diagnosed with Aspergers Syndrome at about age 11, and it’s really impacted on my sense of individuality in a positive way, and I don’t let its effects hinder my development as an individual. Trying to be as honestly self-critical as I can, I would describe my writing style as passionate, emotional, intellectual, yet also quirky and easy-going. It’s difficult to put into words, but I feel my style is rather unique. My hobbies outside of blogging and otakuism include creative writing and gaming. As for the otaku side of things, some of my favourite anime/manga/games at the time of writing this include Clannad (and anything else by Key), Gurren Lagann, Tsubasa Reservoir Chronicles (and most CLAMP manga), ef and the Higurashi/Umineko no Naku Koro ni franchises. You can see more of my favourites on my AP Account, along with a number of other places to find me in the Footprints page. The title of the blog, Kakera Complex, was inspired by Higurashi and Umineko. 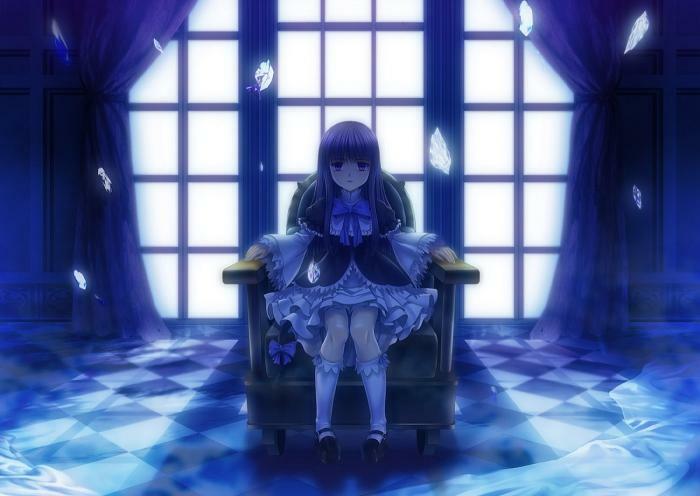 The ‘kakera’, which literally means ‘fragments’ in English, refers to the alternate realities, worlds, or different outcomes in the Higurashi and Umineko mythos. I’ve used this as a bit of a metaphor for the otaku texts I’m so interested in. If we imagine each story as an individual kakera, then the subjcet of a ‘Kakera Complex’ would be me, who spends his time immersed in them. Some might say that makes me an escapist, but I’d like to think it enriches my everyday life! An otaku lifestyle can be great for anyone, I believe. And I want to share the otaku love with all of you through this blog! Thank you for taking the time to read my introduction, and I hope you enjoy your stay! And let us hope Kakera Complex remains strong for some time to come! Welcome to the tea party of those who are not human. But don’t forget, one mustn’t neglect the heart.